enjoy the entertainment and there is plenty of that. The latest news comes via NBC, under the headline Yale Law Dean: Reports that Professor Groomed Female Clerks for Kavanaugh 'Of Enormous Concern,' "[T]the dean of Yale Law School on Thursday responded to reports that a prominent professor at the school had advised students seeking judicial clerkships with Brett Kavanaugh on their physical looks, saying the reported allegations of faculty misconduct are 'of enormous concern' and calling on anyone affected to come forward." The "prominent professor" turns out to be Amy Chua, a professor at the law school, who is most widely known as the author of Battle Hymn of the Tiger Mother. According to reports, Jed Rubenfeld, who is also a professor at Law School and Chua's husband, also once told a student seeking a clerkship that Kavanaugh "hires women with a certain look." "He did not say what the look was and I did not ask," the student said, according to The Guardian. Meanwhile, Ed Whelan, president of The Ethics and Policy Center and a Kavanaugh supporter, has launched a series of tweets, that include floor plans of a house, etc, suggesting that Christine Blasey Ford might have been too drunk to know who attacked her and that it was not Kavanaugh but rather a case of mistaken identity. theory named a new suspect, Chris Garrett, a Georgetown Prep classmate, friend, and football teammate of Kavanaugh. 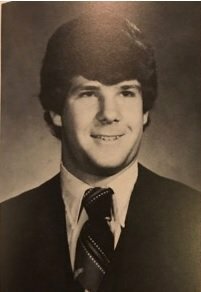 Whelan then posted these side by side yearbook pictures of Garrett and Kavanaugh from the year of the alleged attack. In a letter to the editor published in the News three days later, a Yale student, Rachel Eisler ’86, charged that DKE’s pledge antics “demean women.” She wrote that she approached one of the pledges carrying the flag to ask whether any briefs or jockstraps were affixed to the pole. “Well, I didn’t make it,” the pledge responded, according to the letter. He then said he doubted that any “guys’ stuff” would be woven into the flag. 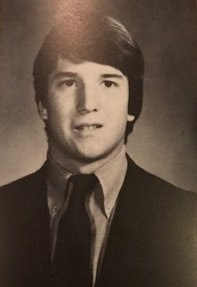 Kavanaugh does not appear to have spoken publicly about his time in DKE. But in a speech to the Yale Law School Federalist Society in 2014, he recounted “falling out of [a] bus onto the front steps of the Yale Law School at about 4:45 a.m.” after a night of bar-hopping in Boston, according to a partial transcript of the speech published in Mother Jones. And so at this early stage in the cage match, I have the social justice warriors ahead. With elitist establishment frat boy, college hijinks possibly ruined forever (unless the frat boys prove me wrong 😉). But sadly, some libertarians may cheer on one group or the other here. This is wrong, both groups are evil here. It is a battle for power over us, we may laugh through our tears but this is about evil people battling to be in control of taking away more of our liberty. There is some psychic gain in seeing some of these bastards roasted in public but this is not how we win the battle for freedom. This is a sideshow. The battle is won by advancing the intellectual observation that liberty is at the core of civility and the advancement of man. When our bowl of popcorn is done, when we finish laughing at a show trial about an event that happened, or didn't happen, some 30 plus years ago, we must do more at the level of the intellectual liberty battle, much more. Elitist children running wild at their fraternities/sororities in the mid 80s? Shocking. I'm sure NOBODY thought that stuff was happening... Seriously Wenzel, do you think we would be eating this much delicious popcorn if Hillary had won? It would have been business as usual. Bob, Great work at not getting lost in the entertaining diversions, instead emphasizing the target: freedom from the predacious State. But what did Ms. Chua say? In an emailed statement to NBC News, Chua said: "For the more than 10 years I've known him, Judge Kavanaugh’s first and only litmus test in hiring has been excellence. He hires only the most qualified clerks, and they have been diverse as well as exceptionally talented and capable. "There is good reason so many of them have gone on to Supreme Court clerkships; he only hires those who are extraordinarily qualified. As I wrote in the Wall Street Journal, he has also been an exceptional mentor to his female clerks and a champion of their careers. Among my proudest moments as a parent was the day I learned our daughter would join those ranks." This is all the fault of the voters. Obama's massive spying operation does not register with them in the slightest nor does Kavanaugh's support for it as constitutional which is an outrage. BTW, in a federal lawsuit, there is a liberal policy of allowing amendment of claims and defenses if done timely so that discovery can occur before trial. A party sitting on a defense or claim for months would not be allowed to spring it at trial. Or like this, during closing argument. Shouldn't these even more important proceedings be subject to some rules and ethics? Lying is permissible in politics. With contracts, lying is called fraud and is forbidden. Who wants to claim that political solutions work better than contractual ones?